Hello fellow young professionals! My name is Coult Culler, and I am the current summer intern here at the North Carolina Recreation and Park Association (NCRPA). After completing my internship, I will officially be a North Carolina State University graduate. I am graduating with a Bachelor’s of Science in Parks, Recreation, and Tourism Management with a concentration in Natural Resources. My time here at NCRPA has allowed me to sharpen my profession skills, learn new ones, and most importantly meet some great people. In this month's YPN blog, I will discuss the importance of staying connected with past friends, classmates, professors, and other contacts. Over the course of my four years in college, I was able to meet hundreds of individuals. Some of whom I now consider to be my best friends and will always keep in touch with them no matter where we end up in life. Others I have met were classmates, coaches, teacher assistants, and professors. It has taken me until this point to realize how important it is to stay connected with them. Staying connected has the potential to open doors and create new opportunities that may never have come around without the help of an old friend. After finishing your general college classes, you are able to move into your major-specific classes. In these classes, you start to meet fellow classmates that more than likely share similar career goals as you do and partake in the same extracurricular activities. It is scary how fast those four years can fly by, and people start getting jobs and going their separate ways. After those four years, people have more than likely shared contact information or are friends on social media of some sort. Taking advantage of that information may benefit you more than you think. If you are currently working a job and have already started looking for new ones, or you are still on the search for either a part-time or full-time job, take advantage of the contacts you have access to. Your classmates may be in a position to help you find a job or even offer you a position at their current organization. A lot of us had a favorite professor that taught multiple classes related to our major. He or she was able to get to know who you are from your assignments, projects, papers and other school-related content. They were also able to see you grow as a person over a couple of years. Professors are there to share their knowledge with young professionals that strive to make a difference in the world no matter where they may end up working. But looking down the road, they are there to help you even if you are not in school anymore. Professors have an endless book of connections that may assist you in the job search. When you are stressing about your current employment position and where to go from there, don’t hesitate to send that email. The connection with past teachers and professors goes past the classroom doors. Reaching out for advice or suggestions is something that they would be happy to share with you. During my final year at NC State, I started to become stressed about finding an internship. I spent hours looking and applying but was unable to hear back from anyone. I finally ended up reaching out to my advisor who I had become close with over the years. Thankfully, she was able to give me a couple of leads to different places that had internships available around the Raleigh area. I ended up applying for the position with NCRPA later that day. Not too long after applying, I received an email back from NCRPA asking when I could come in for an interview. I immediately sent my advisor an email saying thank you for all of her help because without it I may have never gotten the internship. That just goes to show that building relationships with people over the years can benefit you in tough situations. My time at NC State was more than anything I could have asked for because of the people I met and the education I received. Now moving forward as a young professional, I am able to see the unwritten side of the real world. It is up to us to find a profession we have a passion for, but that is a lot easier said than done. Take advantage of the friends and contacts you have made over the years because you never know how they could positively impact your future. 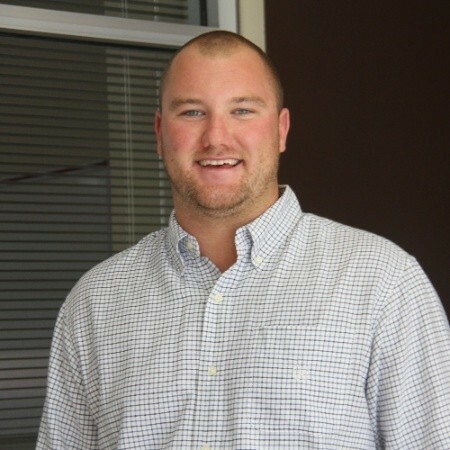 Coult joined NCRPA this summer as an intern and is a native of Wilmington, North Carolina. He is planning on graduating from North Carolina State University at the end of this summer with a Bachelor's of Science in Parks, Recreation, and Tourism Management with a concentration in Natural Resources. Coult lives in Raleigh and enjoys making trips back to Wilmington to fish and be on the water. Coult can be reached at ccculler@ncsu.edu or 919-832-5868. Hi! I am so excited to write a blog post to fellow young professionals about what I like to call the balancing act called life. Let’s be real; being a wife, full-time working mom of two children, and dog mom makes for a very full plate. To give you a little background on myself in my current role in Parks and Recreation, I serve as the Planning and Project Development Manager for the City of Greensboro’s Parks and Recreation Department. I took on this role in November 2016 while I was seven months pregnant with my second child. It was a bold move, but I am so happy for the opportunity to enter the parks and recreation world. My professional background has been in community development and city planning, so parks and recreation is new to me. Being that my experience was not in parks and recreation, it has been so enriching to get to be involved in planning from the parks and recreation realm and learn about all the cool equipment and techniques for improving the quality of life for community residents (and my kids) in a different way than I have done in the past. It has also been challenging to juggle family, work and life. I am consistently in-between work projects, supervisory responsibilities, after-hours work commitments, kid activity scheduling, household duties, and making time for my husband and family. Over the past two years, I have tried hard to make the transition of managing both my professional life and my personal life the best I can. It has had its difficulties, but I am so glad to have the opportunity to provide insights into some tips I have used for both my professional and personal life. For my professional life, here are a few tips that have made the juggling act easier for me. 1) I spend Friday afternoons getting prepared for the next week’s work schedule. I still use a paper calendar as well as Outlook to keep together my schedules and to-do lists. There is just something about writing my to-do list that is therapeutic for me and of course crossing off anything on my to-do list! 2) Delegating is necessary. By knowing the strengths of your staff or co-workers, it gives you the ability to know who will be able to accomplish certain tasks with ease. For me, having a new fully-staffed team has been so refreshing. This has allowed me to feel more rounded when focusing on project development and management. 3) Leave your office. There are some days when I get so busy and haven’t taken the time to take a break. It’s necessary; do it. Refocus yourself to be more productive, even if it’s for 10 minutes. For my personal life, this has been hard because being a wife and mom you always have some type of guilt. I have worked hard in the past year to devote time to myself in order for me to be the best wife and mom I can be. Here are a few tips that have been beneficial for me to try and juggle the balance. 1) Scheduling is key for my personal life. My husband and I share a calendar and each Sunday we attempt to review what is ahead for the week. This team approach helps to divide and conquer the week. 2) We get babysitters. As a mom, you are always carrying guilt, but I have worked hard to not feel guilty for taking time for myself and marriage. Everyone deserves to get out! I have started to revamp my babysitter list since a lot of mine graduated. It’s essential! 3) Take some time each week for yourself. Even if it’s going to the grocery store alone, it’s necessary. Do it. We have recently started a new routine in our house called “free pass” night. My husband and I choose one night a week or every other week where we don’t pick up the kids after work and have a few hours of just personal time - so far, so good on this. I would definitely recommend trying it and figuring out a schedule that works for your house. Juggling family, work and life is one of the hardest things to do as a working professional. If any of you out there are able to use some of my tips to help you, then please do it. For me, I have worked hard to figure out the formula that works best for my life. Keep plugging along until you are able to find a formula that makes you feel like you are not being spread in 50 directions! Shawna currently serves as the Planning and Project Development Division Manager for the City of Greensboro Parks and Recreation Department. In this role, she manages the departmental efforts in the areas of strategic and long-range planning, Capital Improvement Program, Capital Life Cycle Plan, and recreational bond referendums with regards to open space, greenways, trails, parkland and facilities. Shawna completed her undergraduate degree at the University of NC at Wilmington majoring in Political Science with minors in Spanish and International Affairs. 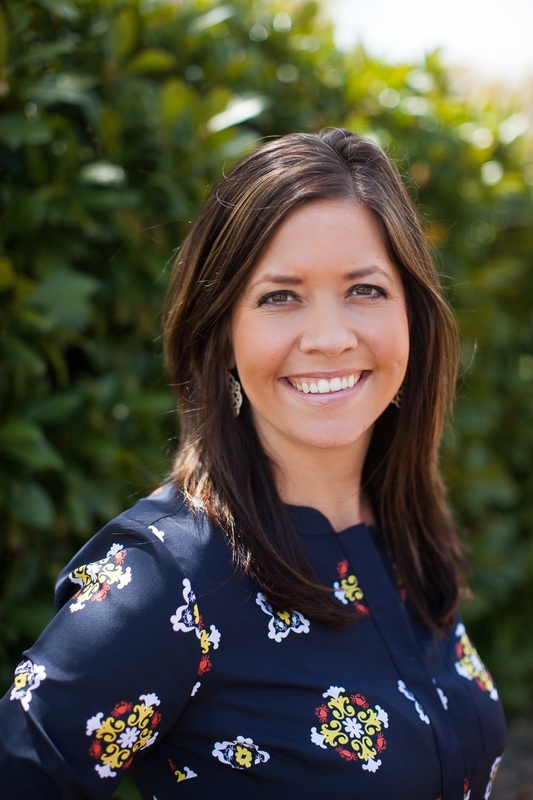 Shawna moved to Greensboro a year after completing her undergraduate degree to complete a Masters in Public Affairs at the University of NC at Greensboro. After graduate school, Shawna worked as a Redevelopment Assistant for the City of Greensboro for three years - working with homeless grants, redevelopment area projects, and staff for the Redevelopment Commission. After working in Greensboro, Shawna moved into the position of Community Development Administrator for seven years at the City of Burlington. In this role, she managed two federal grants, which included both housing programs and community development projects. Shawna is an active member of the Junior League of Greensboro, having served in several leadership roles for the past seven years. She lives in Greensboro with her husband, two children, and furbaby. So, you’ve finished college, completed your internship, and finally got your first “real” job…now what? When I was in college, we were guided and coached on getting our first full-time job. I had always told myself I needed to stay in that job for 3 - 5 years to establish a good reputation, get my foot in the door, and to show loyalty and dedication. No one wants to look like a “job hopper,” right? But what is our next step? When is the “right” time to start looking for your next job? That is the question I faced this past year. I had been working at Southern Pines Recreation and Parks Department for almost 4 years as the Senior Programs/Special Events Coordinator. I loved my job. I loved my coworkers. I had an amazing and supportive boss. Why would I ever leave? But then I found myself looking and keeping an eye out for job openings through NCRPA's Career Connection more and more often. And finally one day, it just clicked. I saw a job posted that I thought would be perfect for me, more specialized, and closer to home. 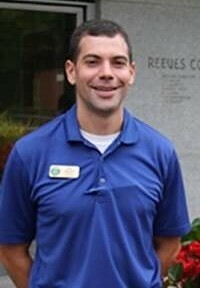 After almost 4 ½ years working in Southern Pines, I made the decision to accept the job as Recreation Supervisor (Signature Events) for the Carrboro Recreation and Parks Department. I am not someone who typically likes change and I usually feel more comfortable in a familiar setting, but I was ready to accept the challenge and see what this new job had to offer and where it could take me in my career. Still the question begs, do you ever really “know” or are you just taking a leap of faith hoping it works out? I like to think it’s a little bit of both. When considering the “right” time to look for a new job opportunity, remember that the right time for me probably won’t feel like the right time for you. Everyone is going to have different motivating factors for moving onward and upward in their career. What were mine? Simple, my family and growth in my career. While I had been working in Southern Pines for over 4 years, I had been living in Alamance County (Eli Whitney to be exact) during that time as well. For those of you not familiar with the area, it was a solid 1-hour drive to work every day. When my daughter was born and I returned to work in December 2016, my morning drive turned into two hours by the time I took her to the babysitter (plus the hour drive home at night). Yeah, the drive was awful but I had gotten very accustomed to it since I had also commuted over 45 minutes to UNC-Greensboro for 3 years. For me and my husband, it was worth it to us to live in the area we wanted, near family and friends, and for me to have a job I enjoyed and loved. That alone made the drive worth it. Even though I thoroughly believed my job was worth the long drive, I knew I would be crazy to pass up an opportunity to work 20 minutes from home. I also firmly believe that it is necessary to always be learning, growing, and pushing yourself in this field in order to be the best Recreation Professional possible. If you become complacent, content, or just don’t feel challenged anymore, then you risk losing what makes our profession so special…your passion. In my last position in Southern Pines, I was fortunate to always be given the opportunity (and encouraged) to try new things and push myself. However, I felt myself slowly getting into a slump of just being happy with how my events and programs were going and not as excited to continue to make them grow and improve. That was another sign for me that it may be time to look for new opportunities in a place that I could challenge myself. Carrboro is a very unique town with an even more diverse and unique population. They offer larger scale events and programs to the community than in past departments I have worked in. The challenge and opportunity to be part of something like that made me excited (and a little nervous)! Unfortunately, there isn’t an easy answer. There isn’t a formula. I can’t lay it out step by step to tell you when it’s time to look for a new job. What I can tell you is, always know your own priorities and understand the pros and cons of your decision. I’ve been working in Carrboro for about 3 months now and when I was approached about writing for this blog, the idea for this topic came to me pretty easily since it is very relevant in what I have just experienced. But I found while writing this, that there’s probably a reason we never talked about this much in school, because there isn’t a “one size fits all” solution or answer to navigating your career. 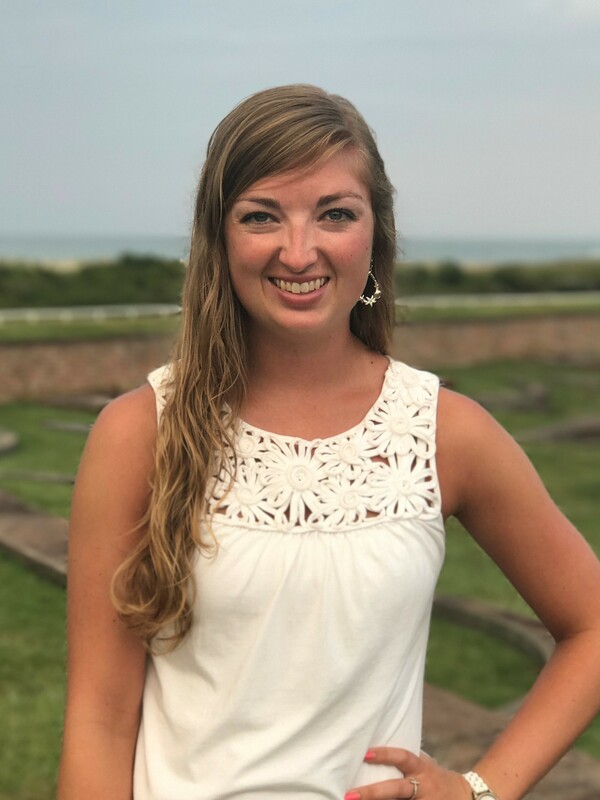 Emma Griffin obtained her Bachelor’s in Recreation and Parks Management with a concentration in Community Recreation and Event Planning and a Sociology Minor from the University of North Carolina at Greensboro in 2013. During college, she worked part time and as a practicum and intern student at Gibsonville Parks and Recreation for 1.5 years, where she developed her passion for the field of public recreation. Emma worked as the Senior Programs and Special Events Coordinator for 4.5 years for Southern Pines Recreation and Parks. She recently began her job as Recreation Supervisor for Carrboro Recreation and Parks in March 2018. When she is not working, Emma enjoys spending time with her husband, Jay, daughter, Lilah, and friends and family. Emma loves taking walks, visiting local parks, and taking vacations at historical sites. Emma can be reached at egriffin@townofcarrboro.org or 919-918-7367. The beginning of each year highlights National Mentoring Month, when we applaud the dedicated individuals that give their time and experience to benefit others. After all, mentoring offers so many professional and personal benefits for people of all ages and backgrounds. According to the National Mentoring Partnership, of individuals that obtain mentors during any point in their professional careers, 90% are interested in becoming a mentor themselves and 130% are likely to be placed in leadership roles within their organization. By preparing young professionals and advanced professionals alike, mentorship helps develop the future workplace talent pipeline. Mentors can help their mentees with their professional careers and assist with their workplace skills, so it is important that mentees sure their selected mentor has their best interest in mind when pursuing a mentor-mentee relationship. Before you start having recurring nightmares of Farnsworth Bentley holding Sean “Diddy” Combs’ umbrella, mentors aren't just for reality television stars. A mentor is an individual that helps guide your development professionally and sometimes personally. In an increasingly competitive job market, a good mentor might be just what you need - whether you're a recent graduate or an experienced professional in your field and looking to make the next move. Before making that move, consider why you want a mentor. Mentors can be useful whether you are stagnate at your position or in a transitional period. A mentoring relationship should not be entered for its own sake. When looking for a mentor, don’t forget to consider finding one in your existing network. There are plenty of ways to find a mentor, but through your network on- and offline can sometimes be the best avenue. Once you have selected a mentor, make sure you are upfront about your goals and how those goals will be measured. It is important to develop the right mentor-mentee chemistry to ensure a successful relationship. As a reminder, a good mentor could be the catalyst that takes you to your desired position, so maintaining a good relationship could save stress to both parties. So, to the professionals that are searching for mentors, be sure to take your time with your selection. It could be the difference between just working for a department or one day potentially becoming the department director. Chris “Ross” Allen originally from Wake Forest, NC, obtained his Bachelor’s in Athletic Administration from North Carolina Central University and his Master’s in Sports Management from the same university. Chris has worked for the town of Wake Forest as Maintenance Specialist and the City of Durham as a Recreation Specialist. He is currently the Recreation Coordinator for the City of Rocky Mount. Chris is currently a board member for the National Recreation and Park Ethnic Minority Society while also serving as a Region Chair with the North Carolina Recreation and Park Association. Did you know April is National Volunteer Month? A 2012 Huffington Post article highlights that, according to the Bureau of Labor Statistics, more than 64 million people volunteered at least once between September 2010 and September 2011. The Corporation for National and Community Service says it has collectively dedicated 8.1 billion hours to a wide variety of organizations. That donated time and expertise is valued at $173 billion. Volunteers are essential to organizations of all shapes and sizes, and, as young professionals, we often have the opportunity to either volunteer ourselves or lead volunteers at our organizations. Volunteering opportunities offered by local Parks & Recreation Departments help connect the departments to the surrounding communities. When citizens volunteer their time, it helps enhance the support needed to make recreation and athletic programs operate successfully. Whether it’s a coach, a dance instructor, a referee, or a tutor—volunteers truly help your department thrive. Volunteers can also help you with strategic planning. They help by providing feedback and offering new ideas. Additionally, volunteers help grow the amount of participants in each of your programs. Most volunteers may have children or family members that want to partake in leisure activities. As you know, “word of mouth” is the one of the best and free marketing tools! Also, when people volunteer it empowers them and gives them a sense of accomplishment. Volunteering allows people to give back to their community and support a great cause. Recognizing volunteers for their participation through an awards banquet or luncheon is an awesome concept to keep them committed to their role. Without volunteers, several programs operated by local Parks & Recreation Departments, specifically ones with small budgets, wouldn’t be able to happen due to lack of manpower. Volunteerism and Parks & Recreation go hand-in-hand and will always be a useful concept to help your community thrive! So this April make sure you thank the great volunteers who support your department or take some time to give back and volunteer yourself. Did you know that volunteers with your department are eligible to become members of Local Government Federal Credit Union and get the NCRPA Visa® Check Card? This card was created exclusively for volunteers and employees of parks and recreation departments across North Carolina. Fontae “KP” Kilpatrick, originally from Kinston, NC, obtained his Bachelor's in Recreation Administration from North Carolina A&T State University and his Masters in Sports Management from Middle Tennessee State University. KP has worked for the City of Lexington as the Athletic Director and City of Thomasville as the Recreation Center Director. He is currently the Athletics Program Coordinator for the Town of Wake Forest. KP is also a member of the Local Government Federal Credit Union Advisory Council and a previous member on the Davidson County Parks and Recreation Commission. KP resides in Raleigh with his wife, Jazmine, and their three-year-old son, Harlan. KP can be reached at fkilpatrick@wakeforestnc.gov or 919-435-9457. It can never hurt to acquire more information and knowledge about your profession. The benefits of understanding what trends are emerging in today’s parks and recreation field are numerous! The constantly evolving field can really keep you on your toes and comprehending these changes will make it easier by furthering your education and skills. This doesn’t necessarily mean going back to school. Professional development and expanded education incorporates numerous facilitated learning opportunities, from college degree programs, to conferences, workshops, and informal learning opportunities. A degree in the field is the first step to becoming a valuable member of a department. While it hasn’t always been the case, today’s entry level leisure services professional often has a college degree in parks and recreation or a related field. Whether you’re headed back to obtain an undergraduate or graduate degree, there are over 80 programs that are accredited by the NRPA. While obtaining my undergraduate and graduate degrees, I expanded my practical experience through independent studies and internships, obtaining career preparation outside the classroom. The hands-on experience provided me with the opportunity to gain skills and knowledge to perform the tasks associated with working in the profession, such as risk management, programming, staff supervision, maintenance, budgeting, and management. Continuing your education can open many career opportunities. Numerous professionals choose to engage in continuing education so they can further build competencies and facilitate career advancement. While in graduate school, I paid for the CPRP, CPO and First Aid Instructor courses and exams out of my own pocket so I could not only have a leg up on the competition but also could show that I was dedicated to the field and wanted to continue learning. If you become a Certified Parks and Recreation Professional or Executive, you will want to attend workshops and conferences to earn continuing education units. Sessions cover a variety of topics relevant to today’s profession and can focus on specific topics that professionals may seek assistance in. With the upgraded skills and knowledge that you will acquire through these sessions, you can improve your chances of a better position within the department you work for. On the other hand, if there is no growth potential within your current job, then at least you will be improving your resume for your next career move. One the greatest benefits of continuing your education is that it allows you meet other adults with like-minded ambitions and goals. Taking a course at a local college or training institution can help to expand your professional network. Both Appalachian State and UNCG assisted me in immersing myself into the field. Through independent studies, internships, mentors and their contacts, I met many professionals in the field. This diverse network of contacts was very beneficial, as well as the experience and supporters I gained along the way. Conferences and workshops give you the opportunity to meet hundreds of other professionals in your field that you can interact and collaborate with too. With each annual state conference I attend, I look forward to seeing old friends, professors and colleagues, and love to pick their brains and catch up on what they are doing in parks and recreation. One of the easiest ways to network is becoming a member of NCRPA and NRPA. The weekly emails and magazines really immerse you in all things parks and recreation and keep you informed about the newest trends, conferences, workshops, grant opportunities, and job openings. You truly get out of your career what you put into it, and engaging yourself in the parks and recreation field can assist you in broadening your career opportunities, expanding your earning potential and help you accept opportunities with greater responsibility. Set yourself up for a successful and purposeful career by involving yourself with particular organizations and professionals. Whether you go back for a degree, obtain a certification or just brush up your skills, you are doing not only yourself a favor but also strengthening the department you work for and the parks and recreation field as a whole. As mentioned before, NRPA and NCRPA are always great places to start, but if you want any further tips or assistance, feel free to reach out! Kristen Herndon is a Program Supervisor for Graham Recreation and Parks Department. She started her recreation career over 14 years ago as a camp counselor in high school and continued into college as a rafting, caving and hiking guide in the summer and a snowboard instructor in the winter. Subsequently graduating from Appalachian State University with a B.S. 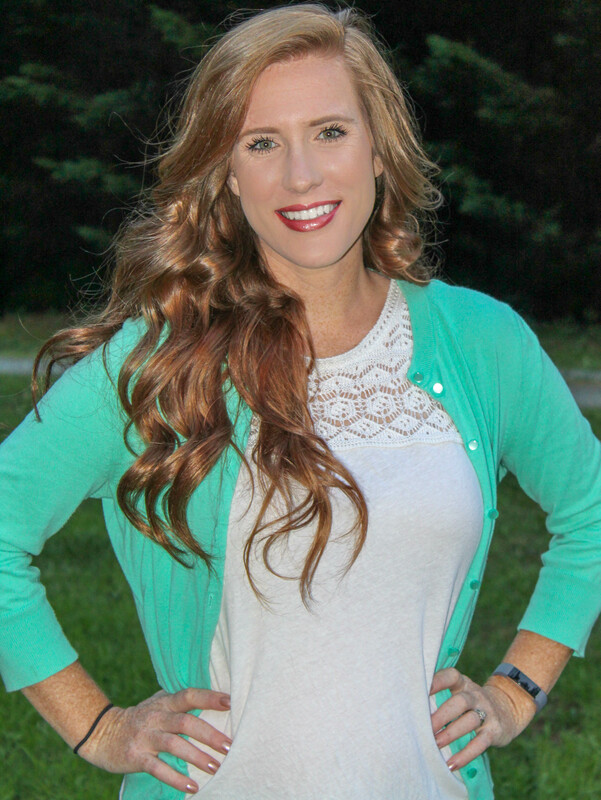 degree in Commercial Recreation, Kristen moved out west to manage a whitewater rafting company. After four years of chasing water, she moved back to NC to attend graduate school at UNC Greensboro, obtaining her master’s degree in Community Recreation. She went on to become an Assistant Director of Student Activities at HPU, followed by becoming the Brand Ambassador for the U.S. National Whitewater Center, and then settling back into government parks and recreation with the City of Graham roughly 3 years ago. When she’s not working, Kristen enjoys hiking, paddle boarding & spending time outside with her family & friends. Kristen can be reached at kherndon@cityofgraham.com or 336-792-1189. Finding value in experiences you have with people and within programs is a tool that takes you a long way. Growing up, I always wanted to be a physical therapist, but when I got to college and began studying Kinesiology, that quickly changed. My first semester was over, and I was stuck not knowing what I wanted to major in - let alone my career choice. Young-minded and confused, I remembered my first real job with Mecklenburg County Park and Recreation at Bette Rae Thomas Recreation Center under the award-winning, Recreation Employment Corp, or R.E.C., program. R.E.C. is a work-based learning program employing youth between the ages of 14-17 as employees/mentors at neighborhood recreation centers, nature centers and aquatic facilities. During my time there, I learned lessons about making a change, the impact the smallest interactions can make and overall how recreation can guide youth to better lives and adults to a more self-fulfilling one. That experience served as a precursor to what eventually would become my career, which explains why I am here today. As fortunate as I was to have that past experience, the learning didn’t stop there. This year was my first time attending the Carolinas Joint Conference, and it was one of the most eye-opening and richest experiences I’ve ever had. The amount of knowledge gained, the people I met and conference as whole provided an immeasurable amount of joy and value. I met people who I now look to as motivation to keep pushing myself in the field of Park and Recreation because they shared stories and knowledge with me that I hope to one day attain. Along with knowledge gained, connections were renewed. I reunited with Terri Stowers, who recognized me from my time in the R.E.C. program; overwhelmed with joy, we discussed how impactful the program was for me and how she, along with the Bette Rae staff, impacted my decision to pursue a career in Park and Recreation. The joint conference is a highlight in my young career and an event I would highly recommend young professionals like myself to attend. Now, I’m currently a Recreation Assistant for the Greensboro Parks and Recreation Department and student at The University of North Carolina at Greensboro. I’m taking the knowledge gained at school and bringing it into my career. You really start to see the impact of experiences gained whether it be via school or another professional. A great personal example came after taking CTR-314, or Recreation Services with Underrepresented Groups, with Dr. Schleien, a marvelous professor. I feel I gained the ability to view facilities and situations through a lens of inclusion, so now anywhere I go, I’m always looking for a way to adapt activities and facilities to make them more accessible to everyone. Along with that experience, my curriculum and professors will offer many more lessons that will help me attain more skills that will prove worthy in my career. Discovering my love for recreation was truly a blessing and helped me figure out what’s been right in front of my face the whole time - that Park and Recreation was my calling. Finding value in the experiences I’ve had since the age of 14 has made it easier for me to turn my knowledge into actions. It’s easy to talk the talk, but through enriching experiences, plus knowledge and lessons and with the help of the Greensboro Parks and Recreation department along with my facility director, Gina Carmon, I will become equipped with tools that will help me walk the walk. Therefore, professionals, whether you are 3 months or 20 years into your career, I challenge you to take the interactions you hold dear and turn them into outeractions in order to make a needed change in your community. Make the change you know is needed, and be the difference you want to see. 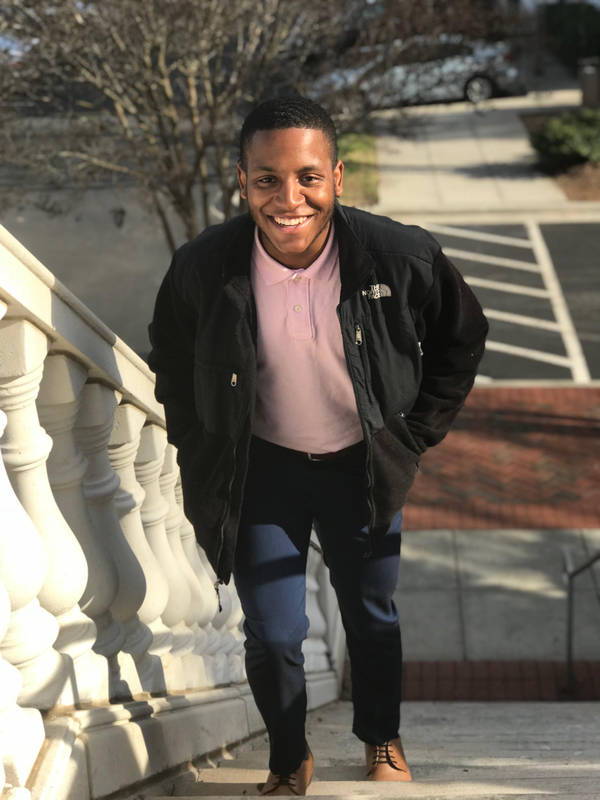 Malik Diggs is currently a student at The University of North Carolina at Greensboro and a Recreation Assistant with Greensboro Parks and Recreation Department. He is currently pursuing a Bachelor of Science in Recreation and Parks Management with a concentration in Community Recreation and Event Planning. 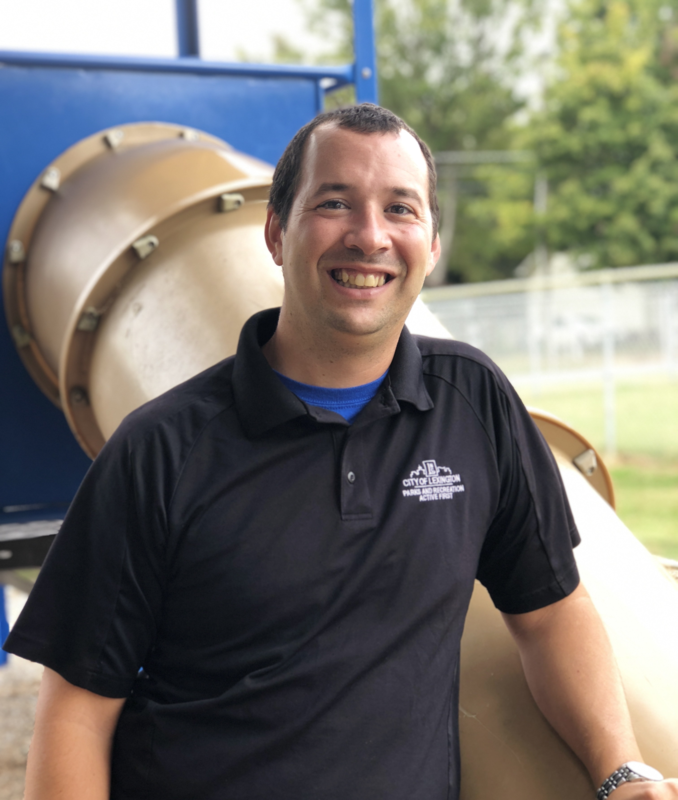 He hopes to one day become a Director of Park and Recreation, but is taking it day-by-day while taking advantage of opportunities presented to him. He’s a proud dog dad of a Morkie by the name of Milo. His favorite quote is by Michelangelo: “Every block of stone has a statue inside it and it is the task of the sculptor to discover it.” He challenges you to push the envelope and make a change. Malik can be reached at mddiggs2@uncg.edu. After graduating from Mars Hill University, I had one goal: to become a member of a professional parks and recreation agency. After a month of interviewing, hard work and determination in finding the right fit for me, I accepted the Athletic Coordinator position with Aberdeen Parks and Recreation. It wasn’t long after being in Parks and Recreation that I decided I wanted to be a Parks and Recreation Director one day. With new career goals set, I took every advantage to learn the ins and outs of the Parks and Recreation field. I took leadership roles in the State Wide Athletics Committee (SWAC) and the NCRPA Athletics Directors Workshop (ADW). I worked closely with Aberdeen's Parks and Recreation Director to see what goes on outside of athletics. I attended sessions at NCRPA State Conference and ADW that directly correlated with my goal of being a Parks and Recreation Director. It was at these conferences where I heard this statement that stuck with me “You may have to go out, to go up.” Meaning I may have to leave Aberdeen to reach my goal of becoming a Parks and Recreation Director. I knew that was going to be tough, but if I ever wanted to accomplish my career goals, I had to be okay with this possibility. With excitement, I can say that I am now the Siler City Parks and Recreation Director. This new career path has its ups and downs though. I can tell you that it can be lonely at the top. I learned quickly that I’m not going to be everyone’s friend or make everyone happy. I am now the one who makes the big decisions that have multiple impacts. I am the one that is looked to for guidance. My phone rings every weekend and late at night with questions and concerns. I must be accessible 24 hours a day/ 7 days week, where before this wasn’t always the case. As an Athletic Coordinator, my primary focus was athletics. It was structured and ran like a well-oiled machine. As Parks and Recreation Director, my main focus is everything. I can’t focus on one aspect and allow others to fall by the way side. With athletics, I dealt primarily with a core group. Now I find myself in meetings and conversations with all different types of groups - all with different primary focus points. This career move was a huge jump in responsibility. I feel that this career move has matured me, not only as a park and recreation professional but as an individual. My advice for any parks and recreation professionals that may have a career goal of becoming a Parks and Recreation Director is to lean heavily on your supervisor. Let them know your career goals and ask them if you can take part in some of their day-to-day operations. This will let you really see what being a Parks and Recreation Director is all about. Attend conferences and learn as much as you can. Be okay with the statement “You may have to go out, to go up.” If you can do all these things and feel good about, it then GO FOR IT!! Joseph Keel was recruited in 2006 to Mars Hill University, where he became an everyday right-handed reliever out of the bullpen. He received his degree in Parks and Recreation Administration with a Minor in Business Administration in 2010. He graduated with a 3.5 GPA. 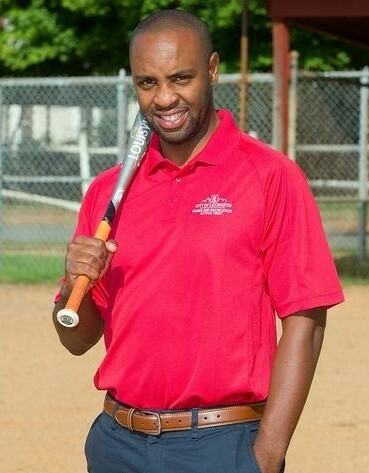 After graduating, Joseph returned to the Carolina Mudcats, where he completed his internship the previous year. In July 2010, he took the Athletic Coordinator position for the Town of Aberdeen. Joseph was awarded the Young Professional Award by the NCRPA on September 15, 2016 at the Athletic Directors Workshop. In February 2017, Joseph accepted the Director of Parks and Recreation position with the Town of Siler City. Joseph enjoys playing golf, spending time at the beach, helping others and serving his church. I’m always a little caught off guard when strangers ask me, “What park do you work at?” Initially, it’s because I’m trying to figure what prompted them to ask. Usually it’s a Greensboro Parks and Recreation shirt or City badge that I forget I’m wearing. Secondly, I am shocked by the question, “What park do you work at?” As if parks and recreation is ONLY parks. As professionals in the field know, we offer so much more to the community. After my shock and awe wears off, I normally respond, “We do have great parks in this area, but I don’t work at one.” This usually leads to them asking, “Well what do you do?” Here’s the part I love: an opportunity to speak about what I do. In an effort to not hold up a line at Walgreens, I’ve prepared a quick 15 second response that sums up the organization I work for, what we offer, and why I enjoying doing it. My spiel goes like this: “I’m the Director of the Greensboro Youth Council, an organization that provides leadership and volunteer opportunities for high school students in the community. It’s a unique program for teens, and I enjoy seeing their development through service to the community.” Easy enough. Educate: Tell them about how diverse our department is, from the traditional programs such as athletics and summer camps to arts and programming specifically for teens and seniors. Invite: If there’s an upcoming event I can promote, I do it! It’s an opportunity for them to see me, Parks and Recreation, and their tax dollars in action. Recruit: In Greensboro, we rely on volunteer support for many of our programs. I like to invite them to serve the community with me. If it’s a student, I discuss internships or give them my contact info. You are one of the biggest advocates and marketing tools for your organization. Create a spiel you can remember and recite. Be knowledgeable about what is going on in your department. Don’t be afraid to talk and brag a little about the amazing work you do! 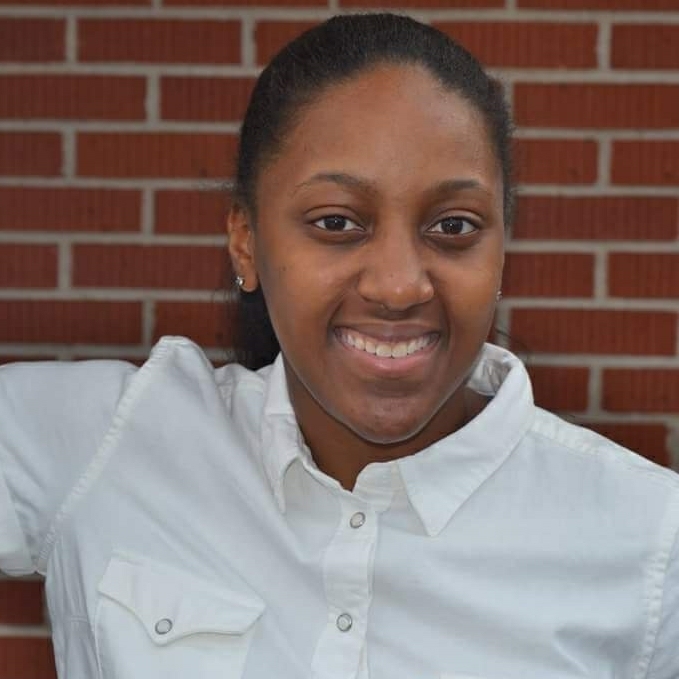 Jasia Stevenson works for the Greensboro Parks and Recreation Department as the Director of the Greensboro Youth Council, an organization she was involved in as a high school student. She started college majoring in Chemistry with a Pre-Pharmacy focus. 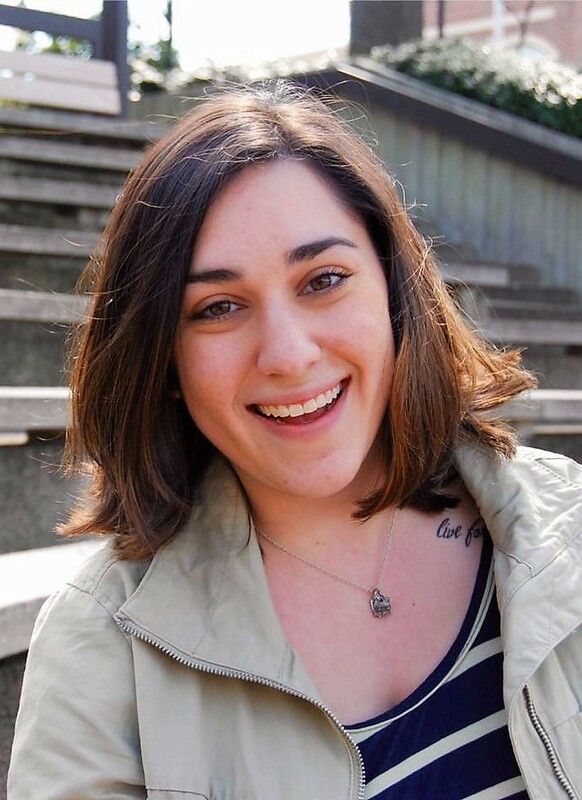 After her first year, she realized this wasn’t where she saw herself or her career and changed her major to Parks and Recreation that summer. Jasia graduated from UNC-Greensboro in 2006 and has worked at the YWCA, a recreation center, and moved up through GYC to her current role. She enjoys aspects of training and development and implementing them in fun, creative ways. When she is not working, Jasia enjoys music, baking, and spending time with family. Jasia can be reached at jasia.stevenson@greensboro-nc.gov or 336-373-2734.